With the passing of the Physician Payments Sunshine Act, the importance of precise and timely expense report management by drug manufacturers ballooned, magnifying the challenges of an already-burdensome process. The 2012 rule was designed to increase transparency around the financial relationships between physicians and drug and device manufacturers, and it has serious implications for pharmaceutical companies. Noncompliance with the Sunshine Act, even if it’s unintentional, can result in hefty fines and adverse publicity. Many physicians concerned with maintaining transparency are already curtailing their interactions with pharmaceutical reps. Any misreporting can create further distrust between physicians and sales reps, undoing hundreds of hours of relationship-building efforts and eliminating sales prospects. While the principles of transparency are nothing new for many large drug companies, even big manufacturers usually find that internal expense tracking and reporting requirements differ from those mandated by Sunshine Act. Rigorous standards demand that most transfers of value—such as meals, entertainment, and even office-based lunch-and-learns—between rep and doctor be reported in minute detail. A juxtaposed number, outdated contact details, or other inaccuracy can have tremendous implications for the manufacturer. Many transfers of value are reportable, but there are also several categories that are not reportable, or are reportable only in certain circumstances. While underreporting can mean stiff penalties, overreporting has its own set of consequences. Reporting more than what’s required can negatively impact a manufacturer’s image and impact its relationships with physicians. 1. Take a Team Approach: Delegate a specially trained financial team to report, process, and monitor expenses. This team should function as the facilitator of the entire expense reporting process, employing the necessary checks and balances to improve compliance alignment, data quality, and cost avoidance. 2. Review Every Report: Rather than simply performing random audits, this expense report management (ERM) team should carefully inspect each and every report generated by sales reps for accuracy, compliance, correctness, and completeness, then send a revision list to the appropriate rep for completion. 3. Employ Ongoing Education: During the revision step, it’s critical that the ERM team help each rep understand why the changes need to be made. Not only will this result in more accurate reporting, but it will ultimately reduce the time reps need to spend on future reports. When expense reporting becomes easier to manage, reps are less likely to avoid or put off the task. 4. 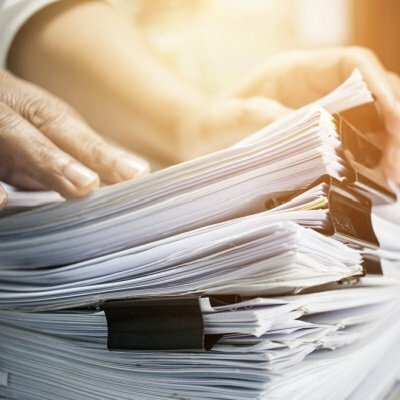 Lighten the Load: By handing off the majority of the review process to an ERM team, district managers need only review reports when they have been fully reviewed and are ready for sign-off. This reduces bottlenecks and frees management up for more mission-critical tasks. 5. Engage in Continuous QI: To streamline the initial report creation process and facilitate more timely submission, the ERM team should perform regular service reviews. The results of each analyses should be used to fine-tune reporting processes and practices, ensuring continuous quality improvement even as the company grows and evolves. Studies show that companies who implement these best practices see huge improvements in productivity and cost savings. A recent study of a large pharmaceutical manufacturer found that after deploying a dedicated ERM team, there was an average reduction of time spent creating, updating, filing, and correcting an expense report by a sales rep that averaged out to nearly 3 hours per week. That same study showed a reduction in time for the Regional Manager of nearly 65% per report due to the shift in report analysis eliminating non-compliance corrective reviews. The Regional Manager only needed to review to ensure that the reports were completed in accordance with company requirements. There was also an 11% increase in sales call activity, resulting in additional three sales calls per week for each sales representative, in addition to an average savings of $70K per month in penalty payments. The costs of regulatory noncompliance are simply too great to ignore. By implementing these best practices, managers and reps are free to focus on sales, relationships with physicians and public perception remain positive, and significant cost savings are realized. Learn how CMK Select’s outsourced expense report management solutions are helping pharmaceutical companies maintain Sunshine Act compliance so their sales teams can focus on building revenue.